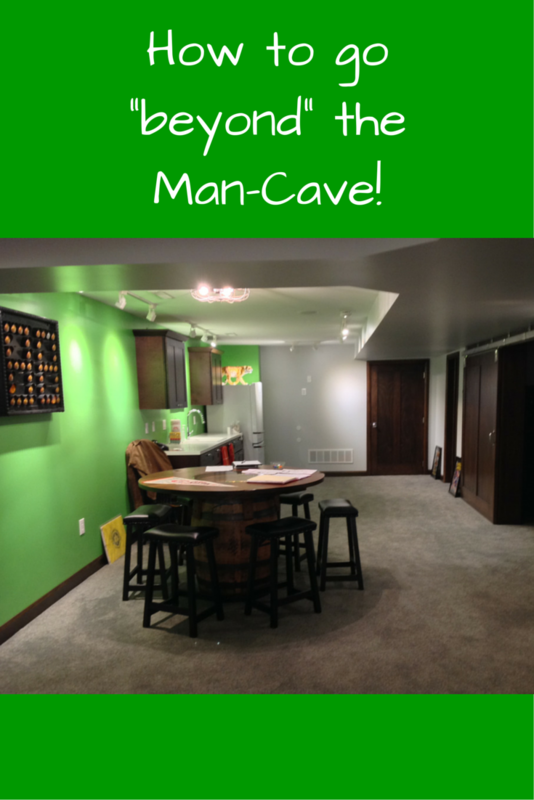 Like many people’s basements Joe and Sarah’s lower level was nothing to write home about. The space was damp, musty and dark and the rooms were cut off from one another. Basically the basement was a place to store stuff…but nothing too valuable due to the dampness problem. The Bedroom – Sliding barn doors which not only could tame a tiger..but a Bengal as well! 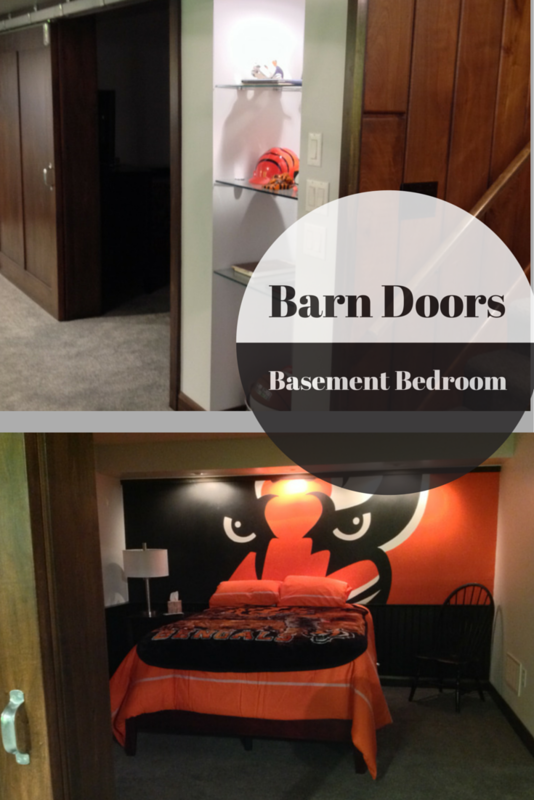 – I love the sliding barn doors in this Cincinnati Bengal themed room (note the back wall artistry was done by Joe Chaulk– although I have to admit I think it would look better with the Cleveland Browns logo!). The canned lights and wood wainscoting make the space inviting with the warm feeling of a rustic lodge. 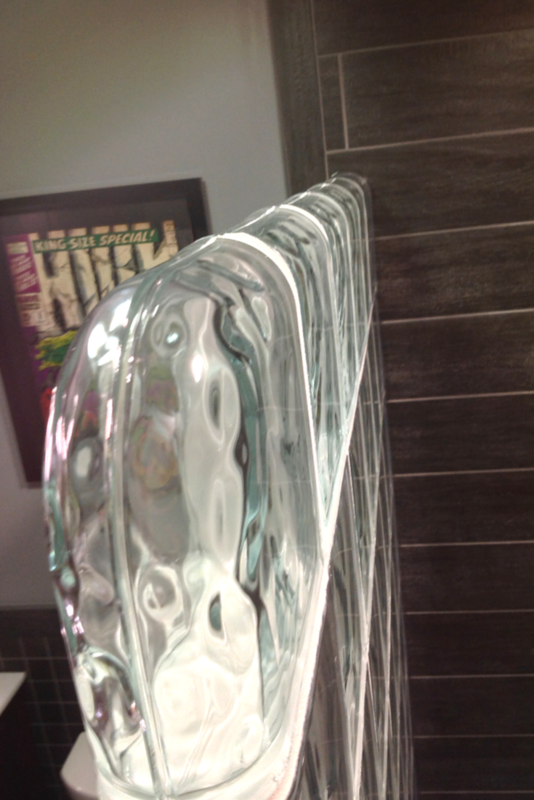 The Bathroom – Mashing up warmth, low maintenance products and fun use of color. Warmth – Entering this room I could feel the warmth of the wood patterned ceramic floor and wall tiles and furniture grade cabinetry. Sarah decided on a 6” x 24” ceramic plank floor from the “Natura” series from Florida Tile with a slightly distressed wood grain. A furniture grade marble top vanity from Austell provides a contemporary and sophisticated look. Low maintenance – The glass block walk in shower with rounded edges on the top and sides (which was installed by the Columbus Glass Block division of Innovate Building Solutions) is not only easy to maintain, but also provides an open feeling to the bathroom. The thinner glass blocks help to maximize the space on the inside of the shower as well. 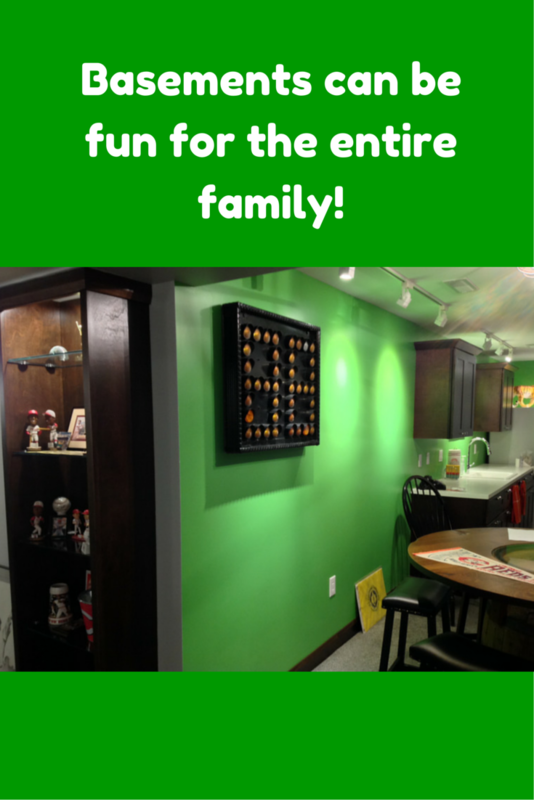 Fun use of color – As Sarah said, “Why not have some fun with the decorating?” The use of the green Amazing Hulk picture really pops and captures the spirit of the Chaulk family to enjoy life. “The hand” – No this is not a replica of “The Thing” from the Munster Family …but it is close. When you come down the basement banister you can reach out and find a seasonal ball or piece of memorabilia from one of the Chaulk’s favorite teams placed in this “decorative hand.” Right now “the hand” is featuring a Butler University Bulldogs football. A piece of Shea Stadium – This fun Shea Stadium scoreboard piece is historically interesting and will eventually be surrounded with other New York imagery. Coming soon…. A “rod hockey game” – This brought me back to my childhood. Joe has on order a rod hockey game with the spinning rods – I hope I get an invitation back to play! 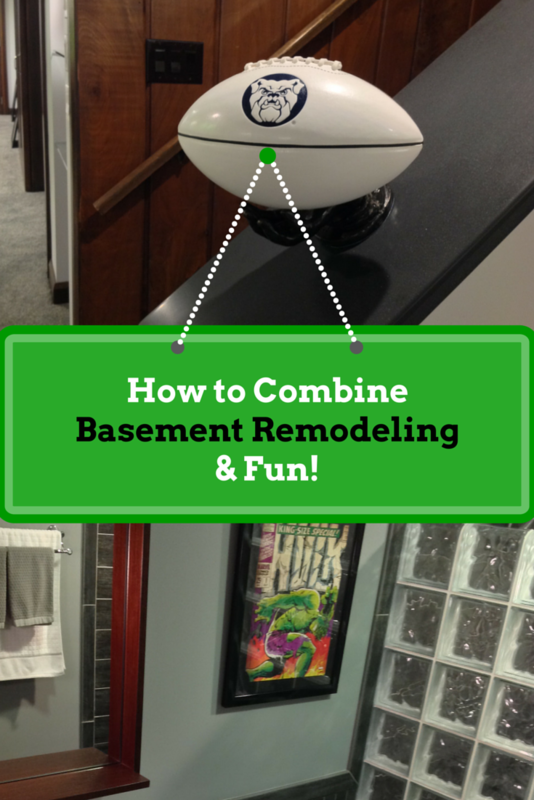 What feature do you like best in this family oriented basement remodel? Please comment below or call for a free design consultation on a glass block shower wall or windows or a Cleveland basement remodeling project. For glass block showers or windows call Innovate Building Solutions on a nationwide basis (877-668-5888) or for a local project their divisions including Columbus Glass Block (614-252-5888), Cleveland Glass Block (216-531-6363), West Side Glass Block (216-398-1020) or Mid America Glass Block in Akron (330-633-2900). 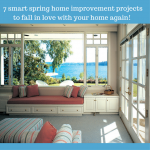 For a basement remodeling project in Cleveland – contact Cleveland Design and Remodeling (216-658-1270).